Experts agree, though it is already important, nuclear power will soon be critical to the maintenance of contemporary society. With the heightened importance of nuclear energy comes a heightened threat of terrorism. The possibility of nuclear energy infrastructure terrorism-that is, the use of weapons to cause damage to the nuclear energy industrial sector, which would have widespread, devastating effects-is very real. 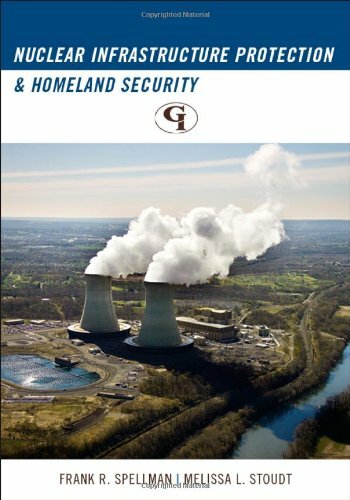 In Nuclear Infrastructure Protection and Homeland Security, authors Frank R. Spellman and Melissa L. Stoudt present all the information needed for nuclear infrastructure employers and employees to handle security threats they must be prepared to meet. The book focuses on three interrelated nuclear energy infrastructure segments: nuclear reactors, radioactive materials, and nuclear waste. It presents common-sense methodologies in a straightforward manner, so the text is accessible even to those with little experience with nuclear energy who are nonetheless concerned about the protection of our nuclear infrastructure. Important safety and security principles are outlined, along with security measures that can be implemented to ensure the safety of nuclear facilities.